"The perfect analogy makes things as simple as possible, but no simpler." Analogies are everywhere and are an efficient way to process the flood of information that we face each day. In John Pollack’s Shortcut: How Analogies Reveal Connections, Spark Innovation, and Sell our Greatest Ideas, he helps us to recognize them, and to know when to use them to persuade, innovate or increase someone’s understanding. Pollack is a former Presidential speechwriter and journalist, and has written three other books. 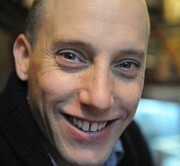 He also built and sailed a 22-foot ship made entirely out of cork and is currently a consultant and writer in New York. "In any analogy, there are going to be similarities and differences between the objects of comparison. The key is determining which are most relevant." When coming up with an analogy or mental shortcut, the connections we identify between two unrelated topics can be instrumental in persuading or convincing someone. The author uses the example of the 2005 confirmation hearing for Supreme Court Judge John Roberts. Since our brains are programmed to look for patterns and similarities to what we already know, emphasizing the similarities between two unrelated topics is what makes analogies so effective. Adding emotions to them can boost persuasion, as we’ll see in the first GEM. "Emotions, once triggered, are like a genie released from a bottle--hard to recapture and cork. And given that emotion often trumps reason, this is one reason why analogies can be so hard to parry." Good, memorable analogies resonate emotionally and are loaded with powerful connotations and subjective ideas. The feelings and emotions that they trigger makes them powerful persuaders. The most convincing mental shortcuts often use arousing sentiment generated by emotions to overcome logic. If combined with a memorable anecdote, the analogy is even more forceful. "As humans, we generally dislike uncertainty. To address this dislike, we construct coherent stories to help us structure the constant flood of incoming data we encounter, and then infer meaning from those stories." A narrative can make an analogy more memorable and understandable. Stories help with the flow of information constantly coming at us, providing our brains with a shortcut. Narratives respond to how our brains work. This book is highly recommended, as it can improve your decision making and increase awareness of when analogies are used to persuade. So, the next time you’re trying to influence someone, add a short and easy to understand analogy to make your point more convincing. Combine it with a coherent story and an emotional appeal to boost your credibility and persuasion power.